Lover of good whiskies and making our customers happy. I’m a huge geek when it comes to the Apollo space program. I’ve got an autographed photo from the Apollo 11 crew hanging in my office alongside a piece of the parachute line from that mission. My grandmother worked with the NASA team in Huntsville, Alabama, in the 1960s so every time I see her I try to get another story of that era out of her. Recently I’ve been reading “Chariots for Apollo” from Charles Pellegrino and Joashua Stoff. It’s one of my favorite books on the race to the moon. When he arrived at the Grumman plant in 1967, Attridge focused on one question – “Must we build it better?” And he learned very quickly that better is the enemy of best. Every new day brings new gadgets and gizmos. Whatever project or product you’re working on, there’s probably something that will make it just a tad bit better tomorrow. And a little bit better the day after that. And a smidge better the following day. But for every thing that makes it better, it means one more day of not shipping. That engineer ended up going over Attridge’s head to get the landing radar replaced. With the “better” choice came new problems as it kept locking up on itself, which made the new tech worthless. That choice ended up delaying LM-3 so that Apollo 8 launched without it. The Apollo teams found themselves even farther behind in the space race. There’s not much worse than needing help with a product only to be told to wait around until someone can get back to you. That’s why our support team strives to reply as fast as we can when you need that help. We track our average response times each day and work to get them as low as possible. Today, our average time to first response is 2 minutes. On top of that, 99% of email to our support team are answered within an hour. We’re working on presupport but that might take some time to get right. So what’s the secret? Like with most things, it’s a combination of things that we do to get that response time as fast as possible. Make sure you have the right size team. 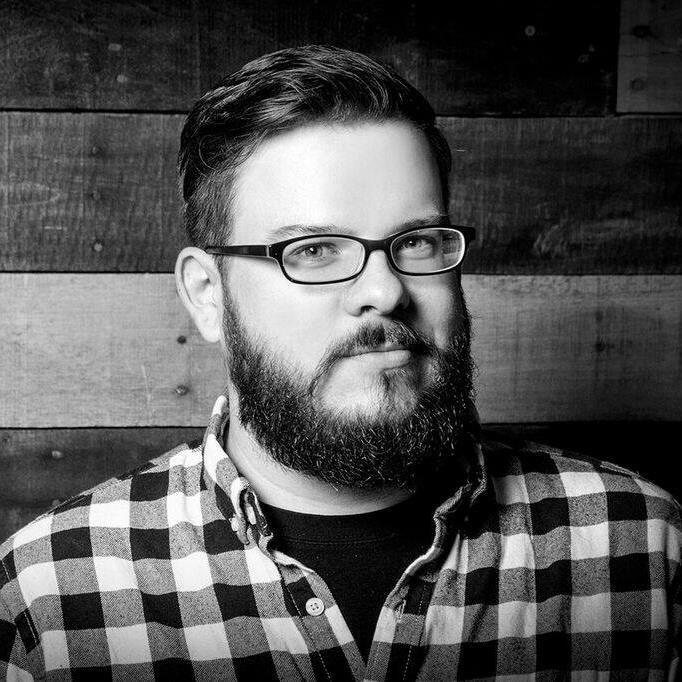 Jason talks about hiring when it hurts. If your support team is continually behind on answering cases, it’s a world of pain for your customers. During the New Basecamp launch, people sent in hundreds and hundreds of emails with questions. There were times that we’d still have 400 emails waiting for answers at the end of the day. It hurt us, it hurt our customers, and it simply was not sustainable. Adding more people to the support team cut that time down. It even gave us a little more breathing room. If someone isn’t at work that day, we’re still okay. We’re at ten people now on the support team, which is the sweet spot for our volume of emails. If you’re a small company watching your payroll, hiring on a new support person can be tough. Instead, have people already on the team do a stint answering support emails. Having a designer or programmer spend some time working with customers helps you get those faster replies. It also lets the rest of the team interact with customers firsthand. It’s a win-win for everyone involved. Use time zones to your advantage. Our support team stretches from Berlin to Portland. We’ve got people working on cases in the bulk of our customer’s time zones. That means a Basecamp customer in London gets an answer right away rather than waiting for us to wake up here in Chicago. And by using time zones, we each work typical 9am–6pm hours instead of crazy overnight or weekend shifts. Back to the New Basecamp launch, Kristin switched over to what we called a swing shift. She’d work 12–8pm to help us be ready for the next day. Staying later in the day made all the difference. It allowed us to reply to customers faster since we didn’t play catch up every morning. Eventually, she moved to Portland and now stops answering emails at 6pm. All thanks to the power of time zones. Bottom line – customers don’t like to wait. I’ve needed help with products before only to find out it’s a 24 hour wait until I would get a reply. That’s insane! Our customers use our apps to run their businesses. When they’re waiting around, it’s costing them time and money. I’m betting your customers are the same way. Aim for those fast response times. Your customers will love you for it. Getting support online is great, but wouldn’t it be nice if you had an expert right beside you? A few of us will be in Atlanta and would love to meet you and your team! We’ll be at Roam in Alpharetta on Friday, April 19th, at your service. We’ve got 30-minute sessions throughout the day to fit your schedule. Registering for one 30-minute session will cover you and up to five others on your team. We’ll be there to answer all of your Basecamp questions and to help turn you into a Basecamp pro. We can also show you some best practices to help you and your team get the most out of Basecamp. You’ll just want to bring your own laptop so we’ll be able to do all this inside your Basecamp account. Space is limited. Make sure to register and save your spot. I love when good ideas start small and organically. One day, a customer visited our office and had a question about Basecamp. Kristin, one of our support team members, pulled up their Basecamp account. They were able to sit together and figure out what needed to be done. Our customers absolutely loved seeing the answer right away. So an idea was born. We call it Basecamp Delivered. We’re hitting the road again for other cities soon. You can help bring Basecamp Delivered to your city by letting us know where you are. My little cousin decided to dress up as Woody from Toy Story for Halloween this year. After finding the perfect version of that costume from the Disney Store, his mom had it shipped to the office since we didn’t know exactly what time it would arrive in the day. 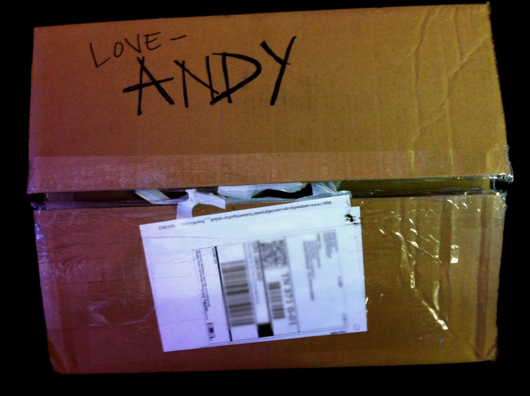 When it got here, the words “Love – Andy” was written in marker on the outside by someone from the Disney Store team. If you haven’t seen Toy Story yet, first – go see it. It’s a great Pixar movie. After you’ve seen it, you’ll know that Andy is the kid from the movie and Woody is one of his toys. It’s great to see when a team goes out of its way for the little things. It only took that person a few seconds to sign the box. Now I can’t wait to see how excited my cousin is to see that his costume was from Andy himself. Don’t forget the little things that you can do with your customers to brighten their day. It might just be signing a name to you. It’ll be a whole new experience to them.